A "little deuce coupe" that has only been owned by women, recently sold at auction for a cool $2.53 million. The 1929 Duesenberg J Convertible Coupe was sold by Morphy Auction and comes with a very interesting history. This car was originally ordered by the wife of a steel magnate. She had some medical issues and was under a doctor's care for tuberculosis. The woman gifted the Duesenberg to her doctor's wife in 1950. That doctor's wife didn't keep the car long and sold it to yet another woman in 1952. That woman sold the Coupe to another lady named Katharine Hepburn in 1961. Hepburn held onto it for quite a while before a man finally got his hands on it and then decided to sell it at auction. The Duesenberg J Convertible Coupe is in remarkably good condition and mostly remains as it was when it was originally purchased. The car has just over 33,000 miles on it and has its original body, which has never been removed from the chassis. It features a Lycoming-built 420 cubic-inch straight-eight engine capable of 265 horsepower, which was the most powerful engine on the market in 1929! 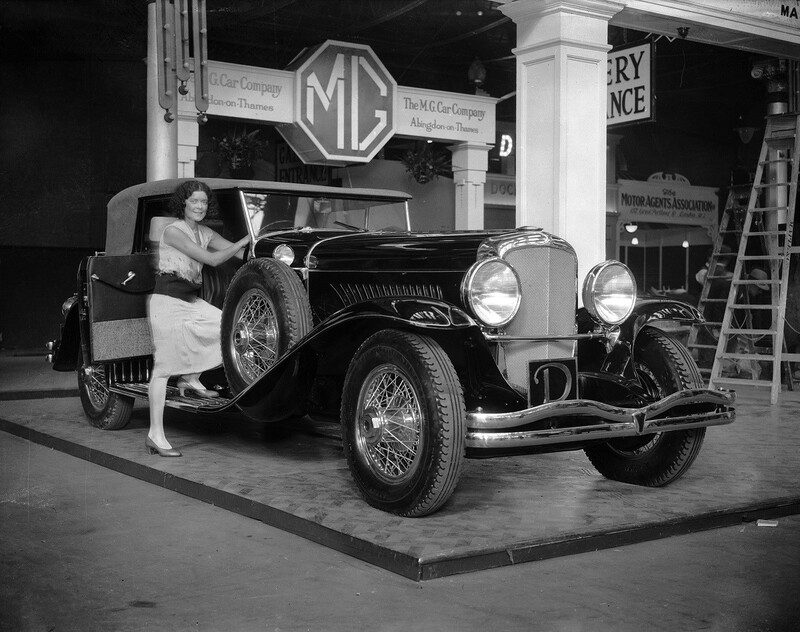 This unique classic features coachwork by the Walter M. Murphy Company of Pasadena, California and was one of only 60 convertibles that the Murphy Company made for Duesenberg between 1926 and 1932. It has a Packard trunk rack framed with chrome and a Packard trunk that was fitted with four cases: two overnight cases, a dress case, and a hat box. The Duesenberg Model J was quite the luxury automobile back in its day. This particular car came out the same year that the Great Depression occurred, but there is nothing depressing about this beauty. The company stopped producing vehicles in 1937. In 2004, a Duesenberg Special sold at auction for $4.5 million and another SJ model sold for $4.4 million in 2007. It is unknown if the new owner of the Model J is a male or female. On top of being named one of America's most influential humorists, Jay Leno owns a ridiculously awesome collection of cars. Click here to take a look at what a $350 million fortune can buy you in vintage vehicles. What is the most expensive car in the world? The Bugatti Veyron Super Sport goes from 0-60 acceleration in 2.5 seconds and a top speed of 267.8 miles/hour.